Born: December 16, 1888 in Boston Ma. Died: September 15, 1975 in Bourne Ma. at 86 yrs, 8 mos, 29 d.
Occupation: Farmer, Barnstable County Sanatorium in Pocasset Ma. Married: September 7, 1925 in Bourne Ma. 1. 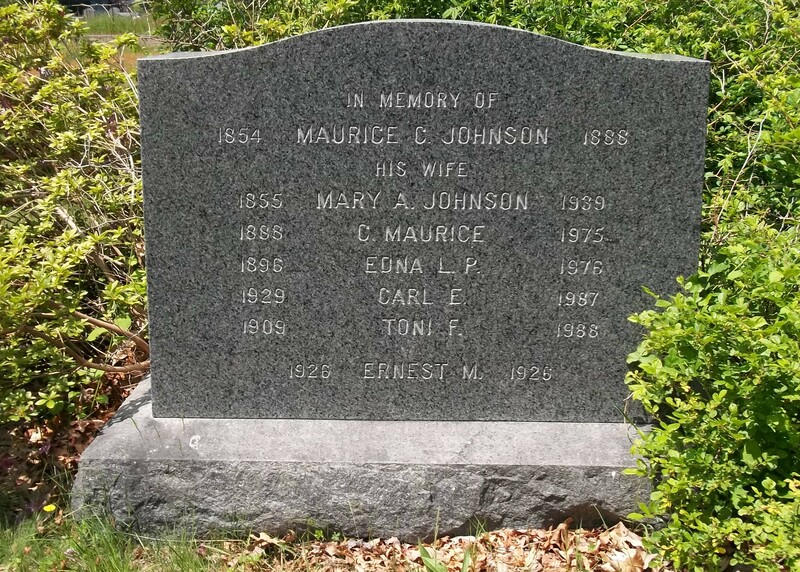 Ernest Maurice Johnson; (September 2, 1926 – September 5, 1926); Ernest died at 3 d. & is buried in Pocasset Cemetery. 2. 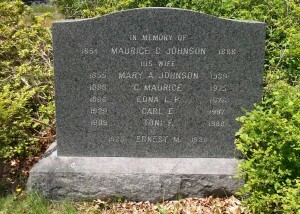 Carl Ernest Johnson: (November 4, 1929 – June 1987); Carl is buried in Pocasset Cemetery.